Outdoor Gym QR CODE - How to use a Mountain Climber? 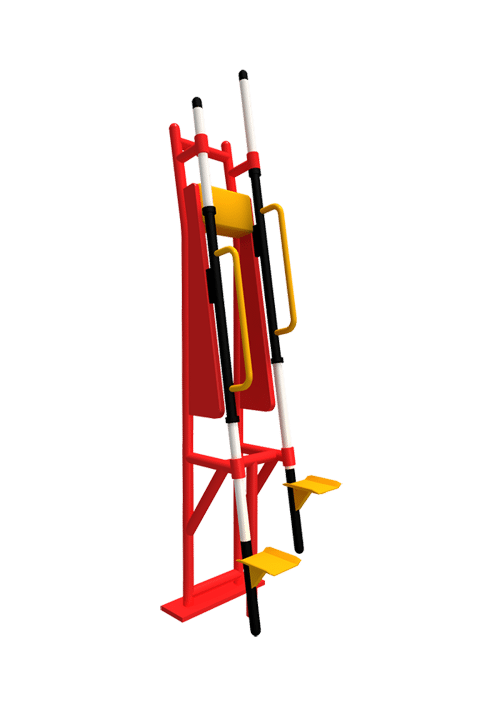 Outdoor Gym QR CODE – How to use a Mountain Climber? Home » Outdoor Gym QR CODE – How to use a Mountain Climber? Outdoor Gym QR CODE – How to use a Mountain Climber ? Stepping on the footboards with both feet, hold the handrails with both hands. Move the right arm and leg up. Then move the left arm and leg up, while moving the right arm and leg down, similar to climbing. Repeat, increasing and decreasing speed, as desired. Provide a cardio-workout. Exercise leg and arm muscles. This unit is designed for one user at a time. It is unsafe to stand near the equipment when it is in use by another user.